TORONTO, ON Oct 4, 2013 – The National Crowdfunding Association of Canada (NCFA Canada) today announced that Christopher Charlesworth and Asier Ania, Co-Founders of HiveWire, have joined the Association’s Crowdfunding Ambassadors Program. 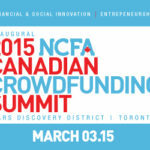 “Both Chris and Asier are by nature wonderful ambassadors for the Canadian crowdfunding industry, said Craig Asano, Founder and Executive Director of the NCFA Canada. They’re industry builders and part of the new eco-system that places an emphasis on balancing financial and non-financial goals. Christopher Charlesworth, Co-founder of HiveWire, holds an MBA from the Joseph L. Rotman School of Management, The University of Toronto, and an Honours Bachelor of Political Science from The University of Western Ontario. Since 2008, he has consulted to such companies as Direct Energy, Desjardin Credit Union, and Prodemnity Insurance Corporation. At HiveWire Christopher supervises the deal-flow and sales pipeline, additionally engaging directly with investors and companies as he supports the overall due diligence process. He is also responsible for HiveWire business development and strategic partnerships. Asier Ania, Co-founder of HiveWire, holds a Masters in Applied Science degree (mechanical engineering) and worked with the Canadian Space Agency designing and executing Mars aerial prototypes. Subsequently working for MDA Space Missions he supported the space station operations program including training astronauts on robotics systems. He also completed a European Master in Renewable Energy degree. Asier is responsible for HiveWire operations and also supports businesses development and outreach. He researches the sector and also directly engages with crowdfunding campaigns. HiveWire is a triple-bottom line enterprise focused on moving our community forward economically, ecologically, and socially through the efficient allocation of capital to companies and projects. HiveWire helps organizations access the power of the crowd through the application of innovative technology, generating value specific to their needs through crowdfunding, crowdsourcing, data analytics as well as consulting and workshops. HiveWire partnered with the Centre for Social Innovation to launch Catalyst, a crowdfunding platform dedicated to creating a better world. HiveWire speaks regularly about crowdfunding and crowdsoucing at conferences and events. For more information please visit www.hivewire.ca.